Bitcoin's taking a lot of space on my C drive, and I would like to move it to another drive. 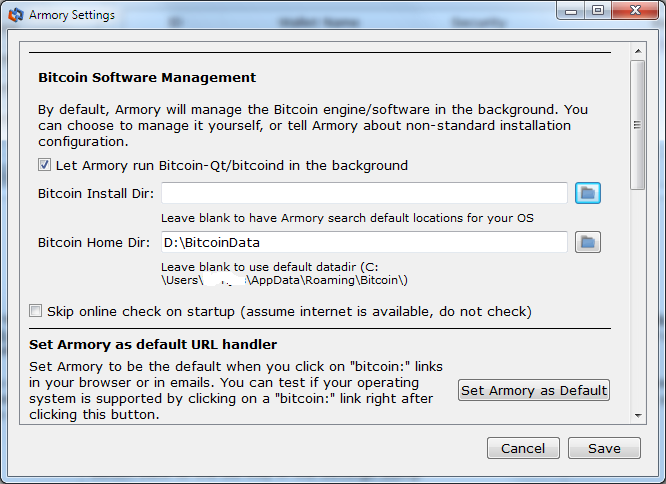 I've figured out to do it using symbolic links, but the problem is that my Bitcoin client is currently synchronizing with the network. Is there a way to pause it, so I can move the data and then go back to synchronizing? My C drive's almost running out of space. Which will be the long-term solution. 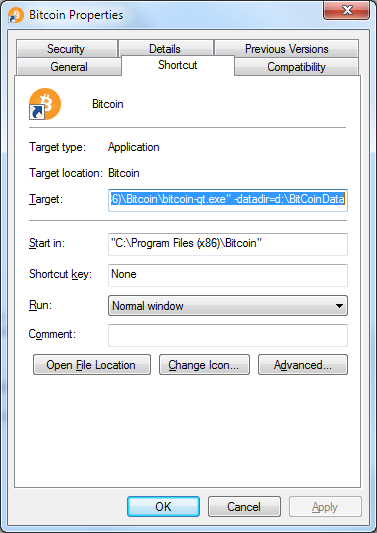 On Windows, the whole %appdata%\Bitcoin directory can be replaced with a symbolic directory link: Make sure the bitcoin client is not running. Just shut the client down, move the files, and then start it up again. It will take about a minute or so to figure out where it left off, and then it will resume from there.